Wright Ford Young & Co. would like to welcome our newest addition to the firm: Cyndi LeBerthon, CPA. With more than 15 years of public accounting experience, Cyndi has joined WFY as Partner in the Audit Department. Cyndi is responsible for planning and supervising audit and review engagements in a wide range of industries, including distribution, manufacturing, professional service, technology and hospitality. Having extensive experience in Employee Benefit Plan audits and ERISA regulations, she also works with plan sponsors in private and public sectors performing annual DOL required audits of their 401(k), 403(b), ESOP, and Pension and Welfare Benefit Plans. Cyndi is an AICPA authorized peer reviewer and works with other CPA firms throughout California and Arizona, performing their peer reviews and providing consultant services on quality control. She is also a committee member of the CalCPA Peer Review Committee. This committee has oversight responsibilities of all peer reviews performed throughout California, Arizona and Alaska. An ESOP is not the only way for employees to own a company, but it is by far the most common. Although the concept was almost unknown until 1974, by 2014, about 7,000 companies had ESOPs covering 13.5 million employees, according to the National Center for Employee Ownership, a nonprofit membership group that provides information and research on ESOPs. An ESOP can work in a variety of ways. Employees can buy stock directly, be offered it as a bonus, receive stock options or obtain stock through a profit-sharing plan. Some employees become owners through worker cooperatives in which every staffer has an equal vote. 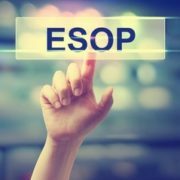 Many have the impression that ESOPs are just a last resort for troubled companies, but only a handful of ESOPs are set up for this purpose. They are most commonly used to provide a market for the shares of departing owners of successful closely held firms. Their purpose? To motivate and reward employees or to take advantage of incentives to borrow money for acquiring new assets in pretax dollars. In almost every case, ESOPs are a contribution to employees rather than an employee purchase. ESOPs are a kind of employee benefit plan, similar in some ways to a profit-sharing plan. In an ESOP, a company sets up a trust fund. Then, the firm contributes new shares of its own stock or cash to buy existing shares. The ESOP can borrow money to buy new or existing shares as the firm makes cash contributions to the plan, enabling it to repay the loan. So no matter how the plan acquires stock, company contributions to the trust are tax-deductible, within certain limits. Shares in the trust are allocated to individual employee accounts. Although there are some exceptions, generally all full-time employees who are at least 21 participate in the plan. Allocations can be made based on pay. As employees accumulate seniority in the company, they acquire an increasing right to the shares in their accounts — known as vesting — but employees must be 100 percent vested in three to six years, whether vesting happens (by virtue of the plan rules) all at once or gradually. When employees leave the company, they receive their stock — and then the company buys it back from them at fair market value unless there is a public market for the shares. In private firms, employees must be able to vote their allocated shares on major issues such as whether the firm should close or relocate. In public companies, employees must be able to vote regarding all issues. Contributions of stock are tax-deductible. Contributions used to repay a loan the ESOP takes out to buy company shares are tax-deductible. ESOP financing is accomplished with pretax dollars. Sellers of C corporations can get a tax deferral. Once an ESOP owns 30 percent of all the shares in the company, the seller can reinvest the proceeds in other securities and defer any tax on the gains. In S corporations, the percentage of ownership held by the ESOP isn’t subject to income tax at the federal level, and often not at the state level either. Employees pay no tax on contributions to the ESOP, only on distributions of their accounts, and then at potentially favorable rates. ESOPs are not allowed in partnerships or most professional corporations. ESOPs can be used in S corporations, but don’t qualify for rollovers and have lower contribution limits. Private companies must repurchase the shares of any departing employees, and this can become a major expense. ESOPs can improve your company’s performance, but only if they are combined with opportunities for employees to participate in decisions affecting their work. These are the basics. Provisions can be complicated and there are exceptions. You should work with a qualified professional to set one up and learn the details in advance. Give us a call or email a WFY advisor at info@cpa-wfy.com if you are interested in learning more about ESOP and for referral of specialist ESOP advisory firms. If you expect to owe state and local income taxes when you file your return next year, consider making an estimated tax payment before year-end to pull the deduction of those taxes into 2017 if you won’t be subject to alternative minimum tax (AMT) in 2017. Pulling state and local tax deductions into 2017 would be especially beneficial if Congress eliminates such deductions beginning next year. Take required minimum distributions (RMDs) from your IRA or 401(k) plan (or other employer-sponsored retirement plan). RMDs from IRAs must begin by April 1 of the year following the year you reach age 70-½. That start date also applies to company plans, but non-5% company owners who continue working may defer RMDs until April 1 following the year they retire. Failure to take a required withdrawal can result in a penalty of 50% of the amount of the RMD not withdrawn. Although RMDs must begin no later than April 1 following the year in which the IRA owner attains age 70-½, the first distribution calendar year is the year in which the IRA owner attains age 70-½. Thus, if you turn age 70-½ in 2017, you can delay the first required distribution to 2018, but if you do, you will have to take a double distribution in 2018—the amount required for 2017 plus the amount required for 2018. Think twice before delaying 2017 distributions to 2018, as bunching income into 2018 might push you into a higher tax bracket or have a detrimental impact on various income tax deductions that are reduced at higher income levels. However, it could be beneficial to take both distributions in 2018 if you will be in a substantially lower bracket that year. Make gifts sheltered by the annual gift tax exclusion before the end of the year and thereby save gift and estate taxes. The exclusion applies to gifts of up to $14,000 made in 2017 to each of an unlimited number of individuals. You can’t carry over unused exclusions from one year to the next. Such transfers may save family income taxes where income-earning property is given to family members in lower income tax brackets who are not subject to the kiddie tax. If you were affected by Hurricane Harvey, Irma, or Maria, keep in mind that you may be entitled to special tax relief under recently passed legislation, such as relaxed casualty loss rules and eased access to your retirement funds. In addition qualifying charitable contributions related to relief efforts in the Hurricane Harvey, Irma, or Maria disaster areas aren’t subject to the usual charitable deduction limitations. Businesses should consider making expenditures that qualify for the business property expensing option. For tax years beginning in 2017, the expensing limit is $510,000 and the investment ceiling limit is $2,030,000. Expensing is generally available for most depreciable property (other than buildings), off-the-shelf computer software, air conditioning and heating units, and qualified real property—qualified leasehold improvement property, qualified restaurant property, and qualified retail improvement property. The generous dollar ceilings that apply this year mean that many small and medium sized businesses that make timely purchases will be able to currently deduct most if not all their outlays for machinery and equipment. What’s more, the expensing deduction is not prorated for the time that the asset is in service during the year. The fact that the expensing deduction may be claimed in full (if you are otherwise eligible to take it) regardless of how long the property is held during the year can be a potent tool for year-end tax planning. Thus, property acquired and placed in service in the last days of 2017, rather than at the beginning of 2018, can result in a full expensing deduction for 2017. Businesses also should consider making buying property that qualifies for the 50% bonus first year depreciation if bought and placed in service this year (the bonus percentage declines to 40% next year). The bonus depreciation deduction is permitted without any proration based on the length of time that an asset is in service during the tax year. As a result, the 50% first-year bonus writeoff is available even if qualifying assets are in service for only a few days in 2017. 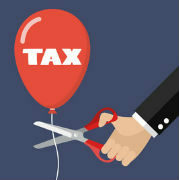 Businesses may be able to take advantage of the “de minimis safe harbor election” (also known as the book-tax conformity election) to expense the costs of lower-cost assets and materials and supplies, assuming the costs don’t have to be capitalized under the Code Sec. 263A uniform capitalization (UNICAP) rules. To qualify for the election, the cost of a unit of property can’t exceed $5,000 if the taxpayer has an applicable financial statement (AFS; e.g., a certified audited financial statement along with an independent CPA’s report). If there’s no AFS, the cost of a unit of property can’t exceed $2,500. Where the UNICAP rules aren’t an issue, consider purchasing such qualifying items before the end of 2017. Businesses contemplating large equipment purchases also should keep a close eye on the tax reform plan being considered by Congress. The current version contemplates immediate expensing—with no set dollar limit—of all depreciable asset (other than building) investments made after Sept. 27, 2017, for a period of at least five years. This would be a major incentive for some businesses to make large purchases of equipment in late 2017. If your business was affected by Hurricane Harvey, Irma, or Maria, it may be entitled to an employee retention credit for eligible employees. A corporation should consider deferring income until 2018 if it will be in a higher bracket this year than next. This could certainly be the case if Congress succeeds in dramatically reducing the corporate tax rate, beginning next year. These are just some of the year-end steps that can be taken to save taxes. 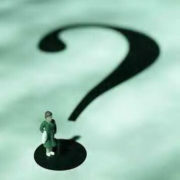 If you would like us to tailor a particular plan that will work best for you contact us at www.cpa-wfy.com. A general power of attorney gives broad powers to a person or organization, known as an agent or attorney in fact, to act on your behalf. What powers? Handling financial and business transactions. These things make a general power of attorney an effective tool, especially if you’ll be out of the country and need someone to handle certain matters, and obviously if you’re physically or mentally incapable of managing your affairs. Powers of attorney are generally included in estate plans to make sure someone is handling financial matters. Health care power of attorney — This grants your agent authority to make medical decisions for you if you are unconscious, mentally incompetent or in some way unable to make decisions on your own. Although it’s not the same thing as a living will, many states allow you to include your preference about being kept on life support. Several states may let you combine parts of the health care power of attorney and living will into an advanced health care directive. 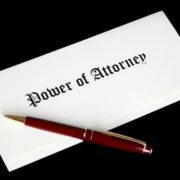 Durable power of attorney — Suppose you become mentally incompetent due to illness or accident while your power of attorney is in effect. Will the power of attorney remain valid? To safeguard against such problems, you can sign a durable power of attorney, which is a general, special or health care power of attorney with a durability provision to keep the current power of attorney in effect. Keep accurate records of all transactions done on your behalf. Provide you with periodic updates to keep you or a third party of your choosing informed. Be held responsible only for intentional misconduct, not for unknowingly doing something wrong. Be aware that agents are not customarily compensated. Know that you may decide to appoint multiple agents to act either jointly or separately in making decisions. This ensures more sound decisions, as they act as checks and balances of one another. But the downside? Multiple agents can disagree, and one person’s schedule can potentially delay important transactions or signings of legal documents. Know that you’ve appointed a backup because he or she may become ill, be injured or in some way be unable to serve when the time comes. A successor agent takes over the power of attorney duties from the original agent if needed. You must sign and notarize your original power of attorney document and certify several copies. Banks and other businesses will not allow your agent to act on your behalf unless they receive a certified copy of the power of attorney. You may revoke a power of attorney at any time — notify your agent in writing and retrieve all copies, letting everyone know that your agent’s power of attorney has been revoked. It may be wise to consult a professional for advice about the powers being granted, to provide counsel on your candidate agent and to make sure your document meets all legal requirements.